Veteran climbing outfits, fed up with what they regard as a lax attitude to safety on Nepal's southern flank of the 8,848 metre (29,029-foot) peak, are starting to shift operations to Everest's north side in Tibet. Poor regulation and overcrowding are pushing Everest climbers away from Nepal to China, which is investing millions to boost a rival path to the top of the world. "The south side is way too overcrowded with inexperienced people," Phil Crampton, a seasoned Everest hand who announced in January his company Altitude Junkies would shift to China, the third such outfit to abandon Nepal in recent years. The exodus could dent a long-standing source of revenue for the cash-strapped Himalayan nation -- Kathmandu raked in more than $4 million in Everest permits fees alone in 2017. A growing chorus of foreign-led Everest operators in Nepal are demanding greater scrutiny of low-cost outfits that have mushroomed in recent years, offering cheap expeditions up the fabled summit. These budget players are luring hordes of amateur climbers chasing the thrill of Everest but also risking death and injury, climbing experts say, warning that some expedition leaders are ill-equipped to tackle the peak. Seven of the 10 climbers who died on Everest's south in the last two years were summiting with budget operators, according to information from the Himalayan Database. "What has happened over the last few years on the south side is absolutely intolerable," said Lukas Furtenbach, whose company Furtenbach Adventures relocated to China last year citing safety concerns. Those pushing for change want to see permit numbers curbed and greater oversight of guides and operators. Nepal introduced new laws in late December barring solo climbers, blind mountaineers and double amputees from scaling Everest, restrictions it said would make the peak safer. But many mountaineers say the rules miss the mark. "Nepal needs mountaineering rules and regulations. But for the operators, not for the climbers," said Furtenbach. Nepal has been criticised as reluctant to introduce much-needed regulations because it fears harming an industry that spins money for the impoverished nation. Meanwhile, China is sending a message that Everest's north is open for business, investing in climbing infrastructure vital for a safe ascent to the summit. It is building a mountaineering training centre in Lhasa and plans to allow helicopter rescues on Everest's north from 2019, according to Chinese state media. Currently helicopter rescues are only possible in Nepal. It also fixes ropes to Everest's summit at the beginning of each climbing season, an industry standard on most major peaks around the world -- but missing on the southern face in Nepal. "China is addressing the issues in a way that Nepal has just struggled to... There is no system in place to actually enforce the rules," said Adrian Ballinger, who was the first operator to move exclusively to Everest's north in 2015. Until a decade ago, a roughly even number of climbers attempted the summit from the northern and southern sides of Everest. But China's reputation took a hit when authorities closed the Tibetan side of Everest without warning in 2008, fearing protests ahead of the Beijing Olympics. Many companies abandoned the north saying the political situation in Tibet was too unpredictable. But that is changing due to what many in the industry see as a deteriorating situation in Nepal. Ballinger expects more companies to move north in the coming years, especially as the Khumbu Icefall presents an increasingly avoidable danger on the south. The icefall -- a treacherous, ever-shifting expanse of glacial ice that all climbers must cross to reach Everest's summit from Nepal -- is becoming more unstable as temperatures warm due to climate change, and has claimed 23 lives in the last five years. Nepal's tourism department, which oversees the mountaineering industry, defended its position on Everest safety. "We cannot respond to every comment people make. 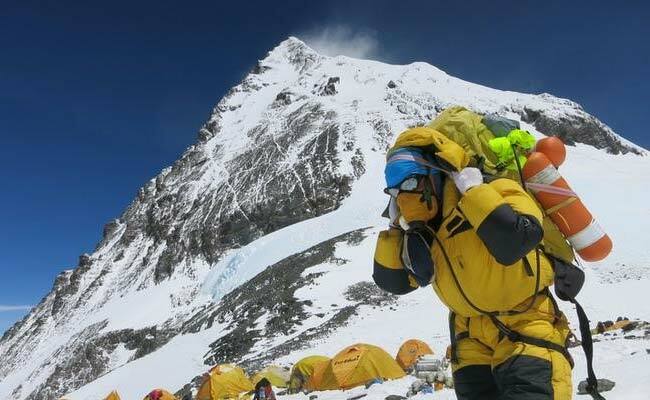 Every year we have more people coming to climb Everest," said department head Dinesh Bhattarai. For now Nepal remains the most popular choice -- just 155 foreign mountaineers attempted to summit Everest from Tibet last year. An ever-growing number of Indian climbers are drawn to Nepal by its proximity to home and cultural ties. Indians outnumbered all other climbers on Everest's south in 2017 bar Americans. Many Chinese adventurers also prefer Nepal as laws back home require they summit an 8,000 metre peak before trying Everest from Tibet.